Honestly been loving this build. Currently level 94, 6.4k life, 500es. getting luckier with 6L'ing a coming calamity. Curious, how did you go about levelling? This jewel is only giving you life. The crawler doesn't take any damage, nor can it die, so no need for resistance. We also don't "use" any minion skills, since HoA is an aura you cast once, making it a dead stat. Just wanted to share this with you because it just felt so good! I literally could not tell that was 73% more life! What about synthesized circle of nostalgia with agony crawler dealing up to 100% more dmg? isnt it useful? 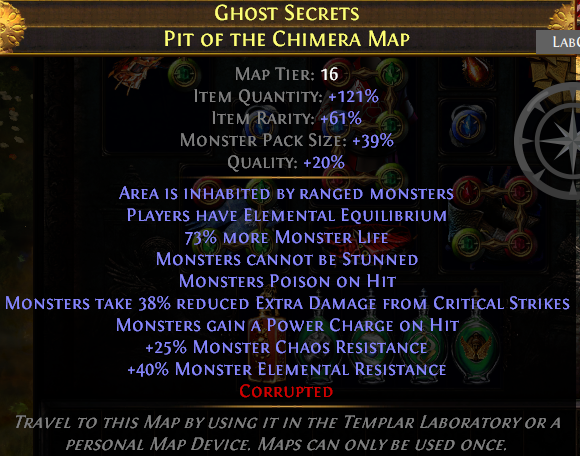 Speaking about the shaper chest, pretty cool idea but what about hatred and mana reservation? I'm leveling with quill rain :) I recall reading that ranged seems to be faster so I went with that.